i created this blog to import my Windows Live Spaces content. Visit http://burhanahmad.com to know more about me. The attached picture is of The lake at Borebukta on the Norwegian island of Spitzbergen emerged after a glacier melted. Blocks of ice trapped during the glacier’s retreat caused the ground to cave in, creating a heart-like hollow, some 120ft by 90ft, that then filled with rainwater or snow melt. The picture was taken by French photographer Bruno Mazodier on Spitsbergen, the largest island in the Svalbard archipelago. Windows Live™ Hotmail®:…more than just e-mail. Check it out. Me being an avid follower of the Formula 1 racing was glad to see the formation of Brawn GP, nearly two months back. Just the thought of having the old faces back was exciting enough… never did I thought that those new faces will turn the tables in the starting races of the season. So far, the two races have been in their favor which seems a bit confusing. Whats more disturbing for me is the fact that my beloved Ferrari team and season’s predicted favs McLaren team are nowhere near the points race, both teams are performing miserably thus far. Even till this time when the Chinese GP is about to start in a few hours time, their qualifying times have been pathetic. So, is this season going to belong to the once underdogs of the F1, will the bigwigs of the game be toppled? Though my heart doesn’t want to believe but this is a change we might have to believe in. For the past few months, I have been consistently asking myself, "Am I Happy?". The answer that immediately follows the question is another set of questions. and they in turn ask me: "What exactly is happiness? ", "Can you measure it?". The naive answers that i can present to these questions is: "May be never ending flow of cash is happiness. Perhaps the absence of worries is happiness. Perhaps seeing your loved ones enjoying is happiness, Perhaps finding yourself sitting with your feet on the table at the corner office is happiness, or may be a line of servants bowing at your orders is happiness, or may be in company of that special someone is happiness and above all getting all of the above desires IS happiness….. To cut it short, I would say that finding your wishes come true is happiness". Happiness is a state of mind or feeling such as contentment, satisfaction, pleasure, or joy. Philosophers and religious thinkers have often defined happiness in terms of living a good life, or flourishing, rather than simply as an emotion. While direct measurement of happiness is difficult, tools such as The Oxford Happiness Inventory have been developed by researchers. Physiological correlates to happiness can be measured through a variety of techniques, and survey research can be based on self-reported happiness levels. hmmm, this is as cryptic as the question. I started to look further, and found a great book (Happiness for dummies). I am presenting some concepts of the book in my own words and will try to map those concepts on my own life. The book suggests four components whose varied mix creates happiness. So, lets call these ingredients as ‘happiness mix’. These four ingredients are essential if your goal is happiness (similar to the fact that you can’t make bread without flour). Similarly, there are some optional stuff that you may add and adding them will make your happiness more interesting (but sorry, i am not discussing them here). The world is not a safe place anymore (especially the part of the world I live in). Even in an unsafe place, there are some relatively more unsafe neighborhoods and some are relatively peaceful places. Imagine an unsafe neighborhood where crime is the order of the day and windows have bars/shields, doors have barbed wires and apartments have armed guards. (sounds familiar isn’t it?) People living at such places perhaps have less tolerance towards others and are more cautious (read: don’t trust others) hence the happiness index is quite low. But safety is not just confined to places. There are unsafe relationships, where the odds of being harmed — physically and/or emotionally — are exceedingly high. And above all, not everybody is safe when it comes to financial issues. So, we can safely deduce that Feeling unsafe carries with it fear, uncertainty, and bodily tension — hardly a context in which you can expect to be happy. This is where your personal standards come into place. "Its YOU who set the bar… YOU decide that you have enough". Now, there are types of people who have different standards about it. Lets consider one factor only – the financial factor. Imagine two persons who both have equal qualification, equal in experience, but what differs is that they come from different backgrounds. One is from a small town with simpler needs and the other is more of a social animal who has friends/relatives in varying level of social statures. If both of them are given a same job with similar wages, the guy from simpler background is likely to say "I have achieved a lot, I am glad i did it" quite earlier than the guy who has a lot to ‘prove’ to the world he lives in. So, its not just personal desires but social pressures that decides when ‘enough is enough’. So, It’s just that simple (or is it?). You, and only you, are the one who decides how much is enough. If you are a high-flyer,nothing is ever enough for you, your search for happiness is one without end! Seeking happiness can be like walking on a treadmill. You tell yourself, “If only I had a 100K job, I’d be happy.” Then, if you get the 100K job, you find yourself thinking, “If only I had other benefits, I’d be happy.” After you get those benefits, you think, “If only I had annual leave of a month, I’d be happy.” In other words, happiness is always one step away from where you’re standing. No one has everything he wants. You may have enough money, but not enough friends. You may have plenty of friends, but not enough money. You can be happy even if your life isn’t 100 percent ‘full’, but you can’t be happy if your life is empty. May be its time to ask yourself boldly: Which of the things I value in life do I have enough of and which do I not? It takes real courage to reach a point in life where you declare for all to hear, “Enough is enough!” In other words, it takes courage to let yourself be happy. What we have already done is done, you can’t go back in time to fix things. You are reaping what you have sown. Perhaps its time to do right things so that you can get the ‘right’ results. But don’t think of life in a micro level. Think about the bigger picture of life, or take an aerial view of what life can be. Happiness, after all, is not about what you’re doing at the moment — it’s about the impact of what you’re doing on your life, positive or negative. If the impact is positive, happiness follows. If it’s negative, unhappiness follows. The writer suggested that Happiness cannot find you amidst a lot of noise – it finds you when you’re in a quiet place or circumstance. So, lets take the writer’s argument forward… You need a place where you can get in touch with the other three basic elements of achieving happiness, someplace where you can appreciate how safe you feel, where you can see how satiated you are, and where it’s not so difficult to achieve some perspective. You have to get off the proverbial treadmill of daily life and find some rest. Places where you can ask yourself some questions and expect to receive an answer is the place you can achieve happiness. If you have a loving family, go home. If you are nerdy go to a library and read books. but don’t socialize too much. You will get to hear too much from others and you will get distracted. But me being a materialistic man wouldn’t find this amusing. I like being the star of the parties… the center of attentions and I feel joyful like this. Doesn’t it contradicts with the writer’s point of view? isn’t being the center of attention happiness?. I find it confusing being influenced by the both sides of argument. By praying, the religious scriptures guarantee that the man is safe… being watched over by the angels. Being dependent upon God’s blessing makes one feel complete. He starts to feel contented that what God has given him is sufficient. He looks at the bigger picture – The life after death where a pious man is promised the gardens of heaven. Praying – the mode of communication between man and his creator is always done in peace. A quiet sanctuary designed specifically for this process. Hence fulfilling the last mandatory ingredient for happiness. Well, that was the religious perspective from our side, In Buddhism, happiness is given special considerations and their followers are involved in numerous practices to achieve happiness under the light of their spiritual leader – The Buddha. Since I am not very much aware of any other religion’s perspective, I would refrain from commenting further on how happiness is mapped with the teachings of various religions, but i surely know that spirituality plays a vital role in achieving happiness. Well, this post is getting lengthier and lengthier. I would wrap it up here with a hope that all those who seek happiness should find it… and I hope that you find it as earlier as possible. One who finds the reality of happiness turns out to be the wiser of the lot. Happiness is right here, We just have to figure out how to find it. 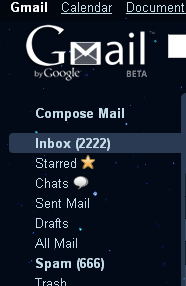 I found these interesting figures in my gmail inbox by chance… so waited no more time to capture the moment. With the ever growing number of terrorist attacks in the country, and news TV channels being so over burdened with interruptions in their regular transmission to ‘break’ a news on the latest terror attack, there is a definitive need to launch a new TV channel. This TV channel will only play Terror related news. and will maintain a daily count of bodies right beside the news ticker. Lets call it Terror TV, and its logo should contain a bomb (the black spherical bombs we see in cartoons) with TTV (Terror TV) written in it. It will transmit only terror related news round the clock and these news will not get outdated since they will be fed with at least one new story every hour! the TV channel will also obtain rights to show gruesome images of blood and body parts scattered on the scene after every terror attack and will be rated R. Instead of using the commonly used term ‘Breaking News’, it should use the term ‘Exploding News’ when a latest news headline is launched. This way, other news channels will play regular news stories like Prime minister’s dinner meetings, President’s activities in his most recent foreign trip and other political leader’s activities. Hence the children will benefit and will get their dosage of ‘current affairs’ without being bothered to be told what a ‘suicide bomber’ is. The escapists can also benefit from such an action and they can close their eyes on what’s really happening in the country. So, for those in favor of TTV raise their hands. Then i had to mess around at the plumber’s shop to fix my bathroom’s flushing system…. the plumber hasn’t showed up at my place despite promising me two times today. Another one of my project for today was to get some planks fixed for my bed, i got ripped off by the carpenter in this case. Then as a final project for today, i went to a mattress shop and bought two mattresses…. During this process the ATM machine messed up, causing a false transaction (ah, these computers!). This means that i will have to show up at my bank first thing on Monday. bad day, but was productive too. What the hell happened to supernatural? Finally i found the time to catch up with season 4 of supernatural. The story has taken a lot of turns and as expected… has gone in every direction except in the direction as suggested by the first two seasons. Now the winchester brothers are caught in the middle of a conflict between Army of Angels and an Army of demons… just perfect. Whats really disturbing is that last night while watching episode 10, i thought that i had seen everything…. Sam winchester was having an affair with a demon while Dean was banging an angel…. WTF??? Besides, these inter-racial orgies, I am still enjoying watching the season.